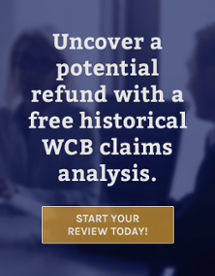 The BCL Team will review your WCB Industry Classification to ensure your organization is correctly classified. Based on overall operations, employers are assigned an industry classification and then assessed the applicable rate for that industry. As there is a wide variance in industry rates and descriptions, classification errors can be very costly. This review will ensure you are paying the lowest rate possible. Through an Assessment Review, the BCL Team will identify and correct errors in reporting practices to the WCB. Because of the complexity of the reporting system, errors can be extremely costly.